A 2 bln euro goodwill charge dragged the Italian telco into the red in the third quarter, overshadowing a resilient operating performance. The group will also bust a debt target. The row between investors Vivendi and Elliott looks increasingly likely to force out CEO Amos Genish. Telecom Italia CEO Amos Genish gestures during a debate at the RAI state television headquarters in Rome, Italy November 10, 2017. 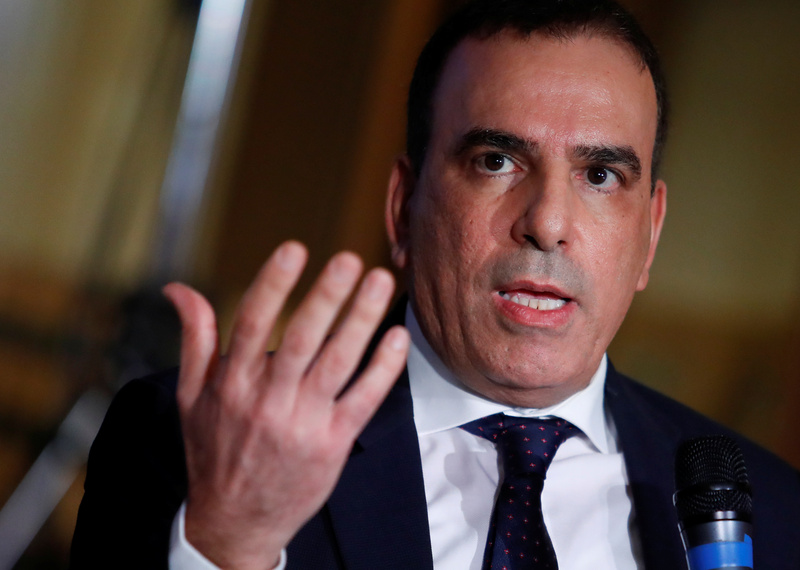 Telecom Italia on Nov. 8 reported a net loss of 800 million euros for the first nine months of 2018 after writing down the goodwill related to its domestic business on its balance sheet by 2 billion euros. Italy’s biggest mobile operator also said net debt at the end of 2018 would be higher than its target of around 2.7 times EBITDA. Net debt stood at 25.2 billion euros at the end of September, down 1 billion euros from a year earlier. Vivendi, owned by Vincent Bolloré, is Telecom Italia’s biggest shareholder with a 24 percent stake. Activist hedge fund Elliott Management owns around 9 percent of the company. The two investors clashed at a board meeting in May that installed a majority of directors supported by Elliott, although CEO Amos Genish stayed on. Telecom Italia and broadband rival Open Fiber, jointly owned by utility group Enel and state investor Cassa Depositi e Prestiti, are in talks to use each other’s fibre-optic network, Reuters reported on Nov. 8. CDP also owns a 5 percent stake in Telecom Italia. Telecom Italia shares were down 4 percent at 0.52 euros by 0915 GMT on Nov. 9.